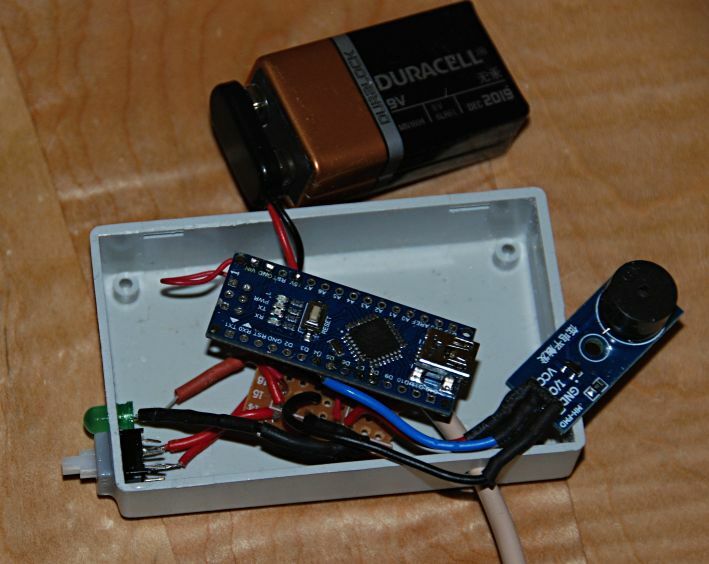 I've been playing around with the Arduino world of electronics bits and pieces and decided an alarm to alert me to a full dust collector would be a worthwhile little project. The alarm uses an ultrasonic range sensor to detect the level of the sawdust in the bag. 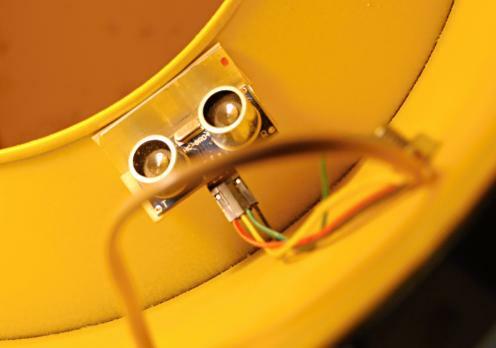 A piezo buzzer beeps when the level is within about 12" of the sensor, sounds continuously when the level is within 6". Total cost was about $5. Here's the completed unit mounted on the dust collector in a bracket a friend 3D printed. (He works at a 3d printer company and free printing is an official fringe benefit). Nifty little device. And the price seems quite reasonable. I made it myself. That doesn't help much when it comes to buying one. I'm pretty sure there are commercial units from the usual sources. 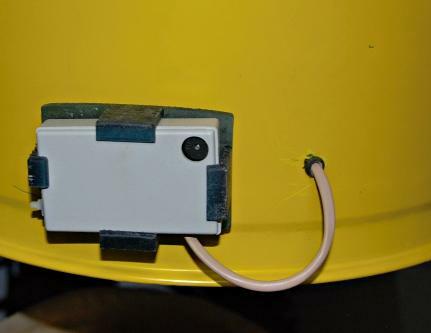 A simple DIY solution is to just take a micro-switch and some sort of spring-loaded pressure plate that will close the switch when the bag gets full (heavy). The switch could be connected to a buzzer or light. 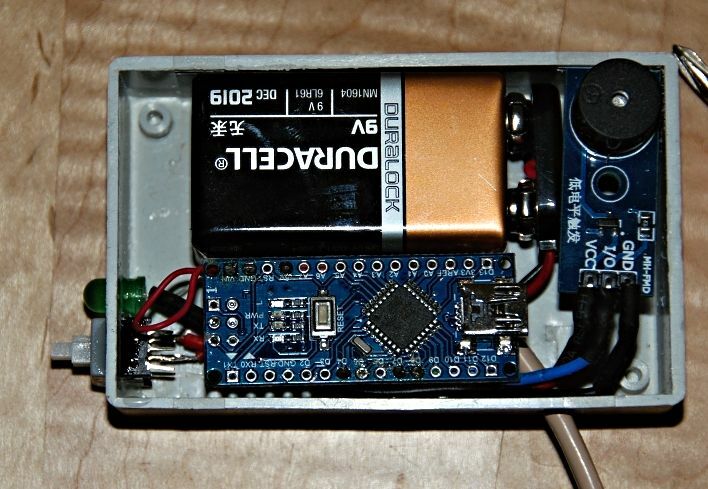 Doesn't take even the relatively modest electronics and programming skills it took to build the widget I made. I have a similar unit on my Oneida cyclone collection drum. It cost way more than $5 though. The one plus side is that it turns on a flashing blue light instead of an audible alarm. That way, I can tell when it's full, even when I'm running a noisy machine.